Industrial Metal Distributor - Metal Supplier DFW | Texas Alloys & Tool Co.
About Texas Alloys And Tool Co. Founded in 1995, Texas Alloys and Tool Co. was established with the concept that service is our primary product. Since then we have built our reputation and our business by providing quality, timely service in meeting the materials needs of customers throughout Texas. 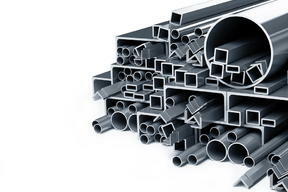 Specializing in stainless steel, aluminum and carbon alloy products, we have distinguished ourselves as a supplier that can be relied upon. We also offer specialty metal products such as standard and flattened expanded metal. Contact Texas Alloys and Tool Co. today to learn more about how we can meet the needs of your company. Copyright © 2019 | Texas Alloys & Tool Co.